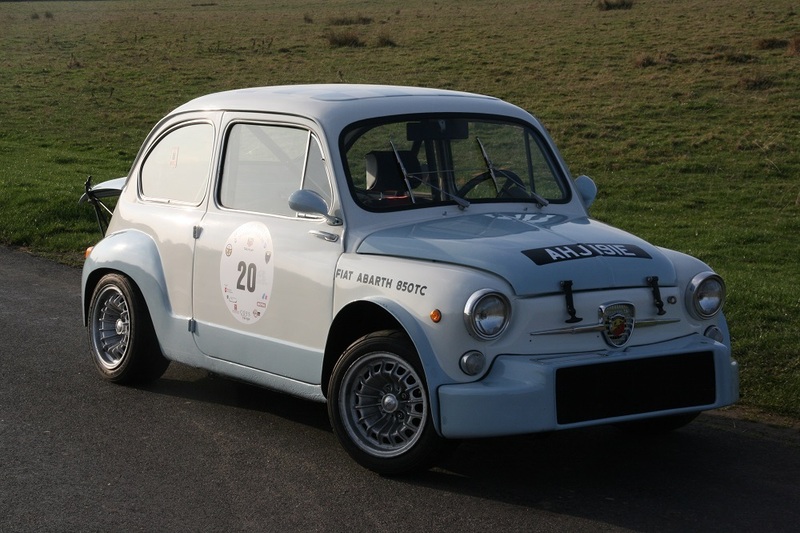 Chassis number 3801 was first assembled in Abarth’s Turin plant in 1963. The shell was built with suicide doors as per early Abarth 850 TC. The original Italian registration document states it was first registered in 1967 hence why the DVLA issued an 'E' registration number. This is a real Abarth and NOT a replica. The original Italian paper work issued from new states the chassis number (telaio) as 1519661/3801 which coincides with the FIAT chassis stamp on the bulkhead which reads FIAT 100D * 1519661. The numbers stamped on the panel by the exhaust are ABARTH 214 and 3801. 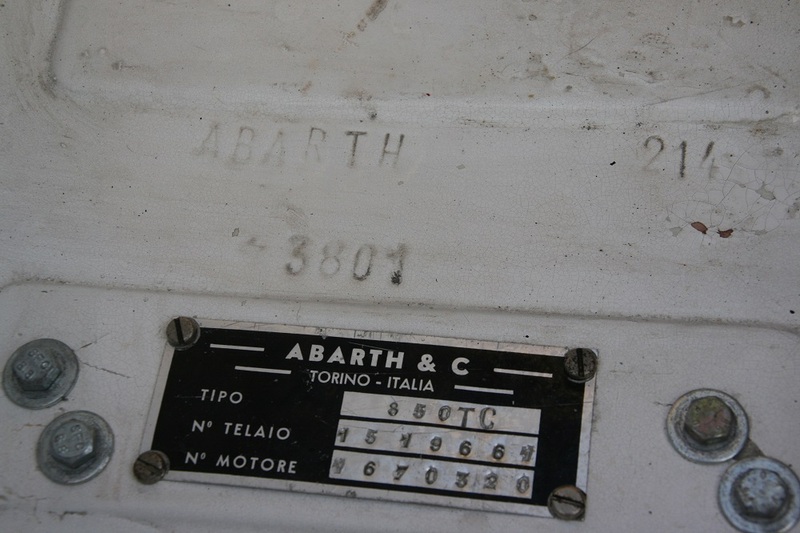 These are original Abarth only numbers; 214 is the model number for 850TC and 3801 is the Abarth chassis number. The previous Italian ownership is known up to when it came from Italy to here in the UK. There are service records dating from the 1960s and 1970s and a copy of the original Italian liberetto. Unfortunately the UK dvla numbskulls sent the liberetto back to Italy as apparently they said they ‘have a deal with them’. 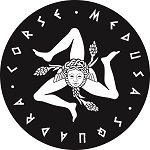 I am in the process of trying to get this document back from Italy. As I said, I’ve managed to keep the service records etc from the book. In paperwork there is and FIA HTP and FIVA papers, all of which you can see in the photos. The Abarth tuned 848cc engine with number AB214 1366539 doesn’t appear to be the original engine going by the Abarth plate present in the engine bay. It is however the correct AB214 number. 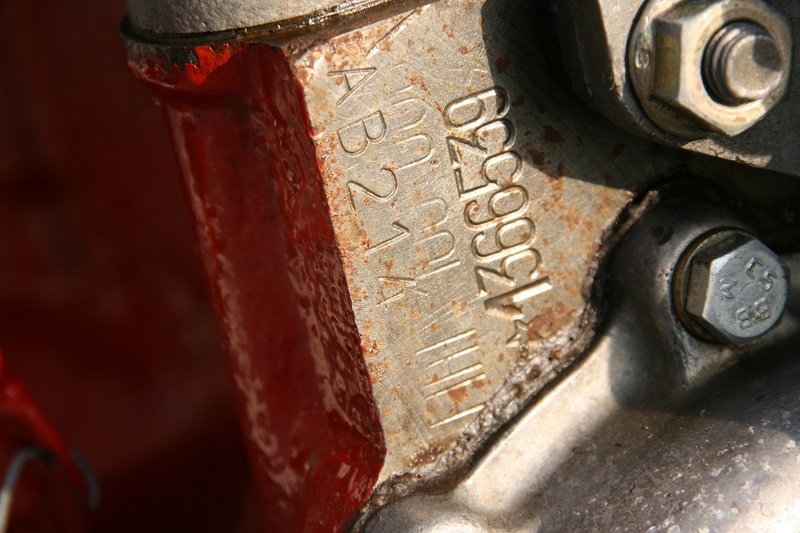 Abarth used to grind off the original Fiat engine numbers and stamp their engines with their own unique code. For 850TC it is AB214 to tie in with the chassis stamp. A dyno report from 28.1.19 states the power as 48.4hp and 6975rpm. 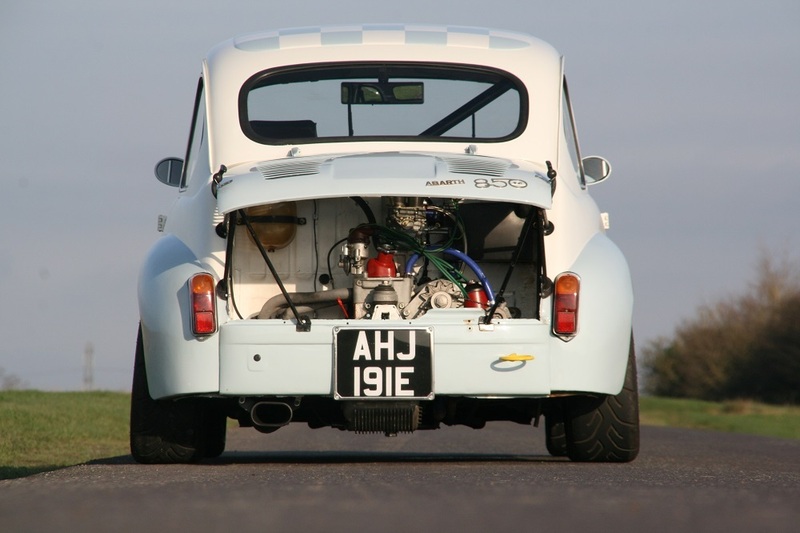 These little 850TCs were 51hp fresh from the Abarth factory and weighing just 600kg. So to lose just 2.6hp in 56 years is admirable. Other Abarth goodies fitted at Abarth & Co are the rare magnesium sump, magnesium carburettor intake with Weber 36DCD and ab also rare item - a Carello external oil filter. 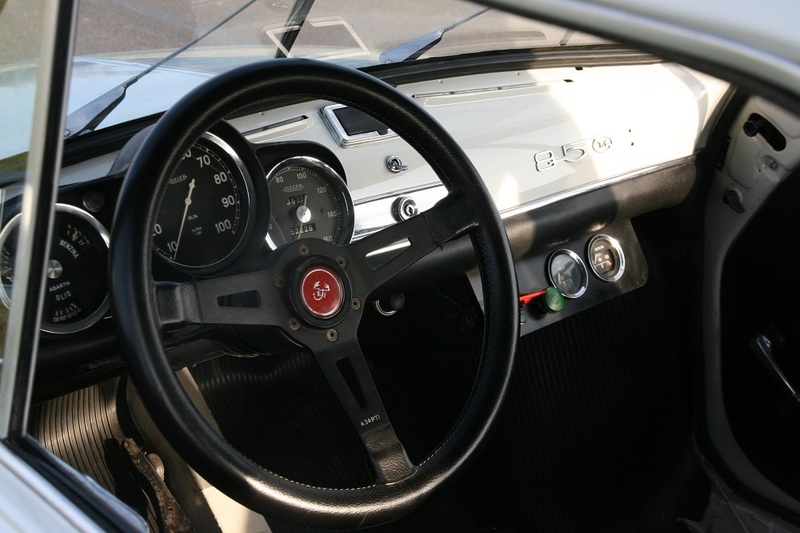 The gearbox is original Abarth 4 speed with a short final drive of 8/39 and a limited slip differential. On a drive the car gets to 4th gear pretty quick and into the latter stage of the Rev range before you know it. In one of the accompanying videos you can see the Abarth get to 138kph (85mph in old money) pretty fast. There was plenty left if you’re willing to push into 8500rpm onwards but be warned, it is a screamer. Around town it’s great, loud and brash and gets all the attention, and so it should. On longer, more open roads then a 5th gear would be advantageous. But then I guess it’s not built for Autobahn cruising. The Abarth stinger exhaust has an incredible sound unlike anything else. This 850TC has had at some point in its life TCR wide front and rear fenders to accommodate the 8x13 Campagnolo mag wheels. It has the Gr.2 homologated front bumper which houses the front mounted radiator and oil cooler. The paint is very presentable with only a few small imperfections noticeable but doesn’t detract from the overall appearance. Structurally solid with good floors and sills with only a couple of minor rust bubbles on the bottom of the passenger door. It is not a Pebble Beach Concourse car but a very rare, desirable and solid Abarth. The interior is stripped of the original front and rear seats. Fitted with a half cage at the moment but it does come with the rest of the roll cage if a full cage is needed. There is a nice OMP Nurburgring seat (non FIA) and a 4 point FIA OMP harness (out of date). The original period Jaeger gauges are present with the 10,000rpm rev counter and additional oil pressure and water temp gauges. Finishing the look is a lovely leather bound Abarth steering wheel and Abarth horn. 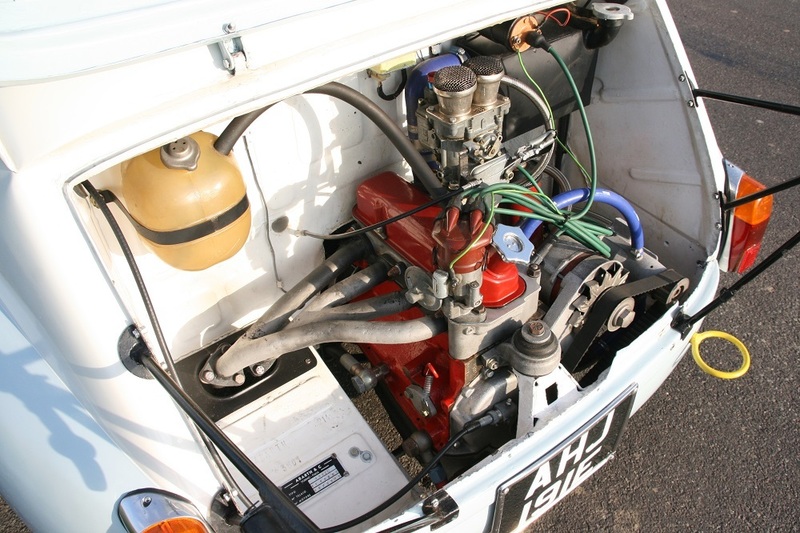 Under the front hood is the original fuel tank, filled with Detostop, a new battery, Filter King fuel pressure regulator and electric fuel pump. Fitted are a set of rare 8x13 Campagnolo Magnesium alloy wheels shod in nearly new Yokohama Advan A048 rubber 175/50/13. Suspension is uprated shocks with rear coil springs and a front transverse leaf spring. It also benefits from rear negative camber. Designed in a time when neg camber was to get more rubber in contact with asphalt under cornering and not just for “Stance”. Front brakes are discs and calipers while the rear is drums. So to summarise, here we have a very rare and original Abarth 850TC with matching 214 numbers and documentation to back up the authenticity. A splattering of competition history and provenance. Truly a blast to drive with good original and wholesome 1960s Abarth power! Px considered for something "really" interesting, old and rare.